"Refund Request - Childs Name, Parents Name, Sport (Football, Basketball or Volleyball)." We recommend you provide as much detail as possible for why you believe an exception should be made. Heavy Rain: "More than just a drizzle", which rain is forecasted to last the entire duration of the scheduled games, as determined in NYC Pick Up Sports sole discretion. Snow: No cancelation unless certain “blizzard-like” conditions, as determined in NYC Pick Up Sports sole discretion. Ice: If the field is covered in ice, the games may be canceled, as determined in NYC Pick Up Sports sole discretion. 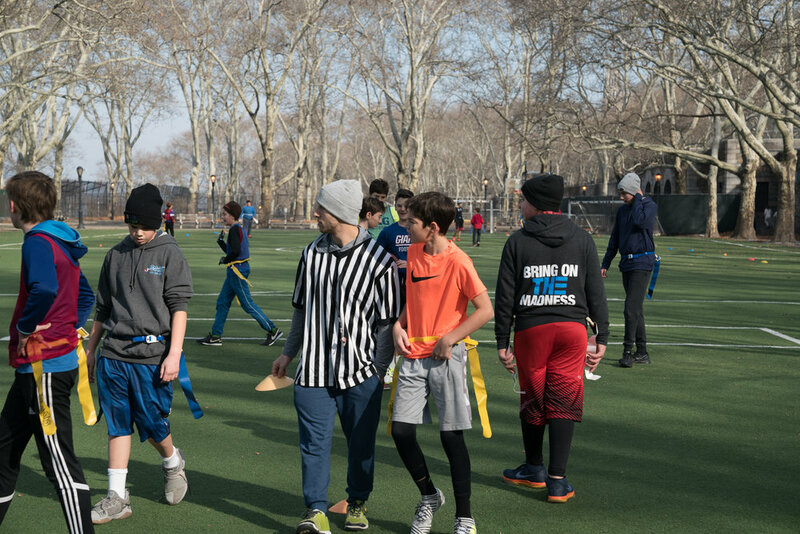 Temperature: If the temperature drops below 15 degrees Fahrenheit the game may be canceled, as determined in NYC Pick Up Sports sole discretion.